North and parts of the Midlands and the far Southwest. roadsides. It is most common by the coast. 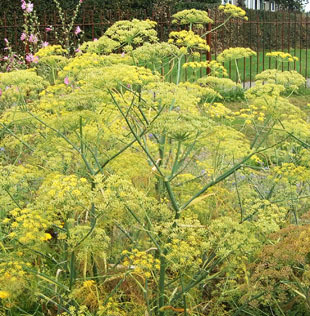 herb growing up to 2.5m. 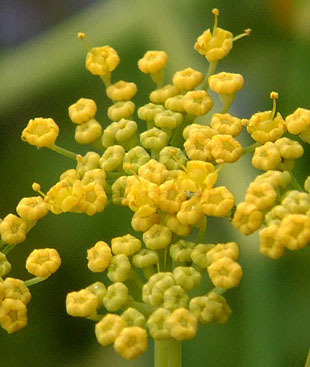 The small flowers are in umbels up to 8cm. 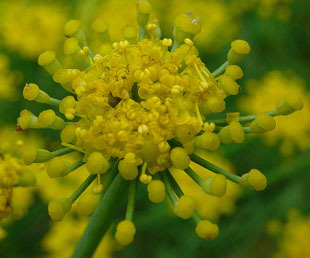 The umbels have no upper or lower bracts. 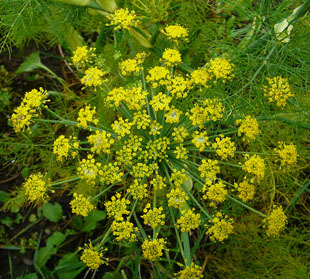 Seeds are often not formed in Fennel grown in the UK. 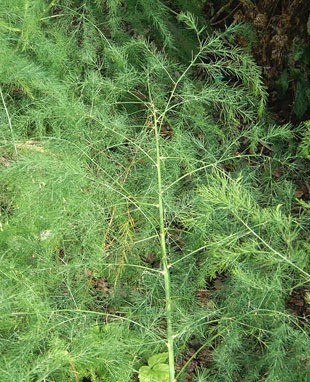 Leaves are 2 to 3 pinnate in feather-like fronds. 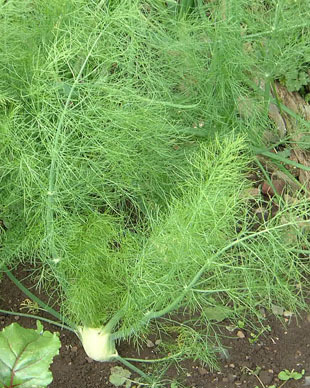 sliced in salads or cooked..
Fennel also has uses as a medicinal herb.